About Us The Harris Federation is a not-for-profit charity with almost 25 yearsâ&#x20AC;&#x2122; experience of education in and around London. We have built our reputation on a family of Academies that are, across the board, setting standards of excellence and fulfilling high expectations, making a difference to the lives of our students and staff. Our Initial Teacher Education team are dedicated to providing world-class teacher training, supporting our trainee teachers in honing their craft in the classroom, developing critical research skills and working with talented professionals in a range of contexts across the Federation. Our Harris School Direct Programmes Train to become a teacher within our family of highly successful academies. Are you considering teaching? Are you a successful graduate, either straight from university or a career changer who can bring industry and subject expertise into the classroom? We offer year-long primary and secondary teacher training programmes to graduates and career changers joining the teaching profession through our Harris School Direct programme, offering a strong support network and exciting environment in which to train. We have combined the best elements from a range of training routes to ensure that our beginner teachers leave the course feeling supported, confident and well-prepared. All our teacher training courses lead to QTS (Qualified Teacher Status), a PGCE (Post Graduate Certificate of Education) and 60 Masters Level credits, giving you access to first class training, invaluable school and classroom practice and learning on the job at a placement in one of our 30+ academies. Benefit from bespoke weekly training days in Westminster with your fellow trainees; tailored subject-specific training days; personalised mentor and team support and a second placement in a contrasting school environment, as well as earning a salary on the job or training bursary, subject to eligibility, as you train. •	Geography Contact us to find out more and check current course availability. 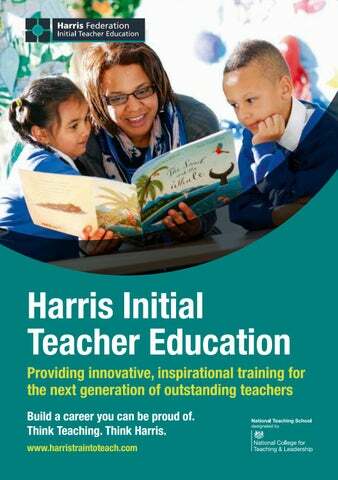 Eligibility for School Direct Harris Initial Teacher Education offers a unique training route to achieving Qualified Teacher Status (QTS) and we are keen to attract the highest-quality candidates. In order to apply for a place on School Direct, you must have: •	A UK undergraduate degree or a recognised equivalent qualification. •	A standard equivalent to a grade C in the GCSE examinations in English and maths. •	A standard equivalent to a grade C in the GCSE examination in a science subject if you intend to train to teach at Primary level. If you studied outside of the UK, you should visit the National Academic Recognition Centre (NARIC) website to find out whether your qualifications are of an equivalent level to UK GCSEs, A levels and an undergraduate degree. In addition, all candidates are required to have passed the literacy and numeracy professional skills tests before starting teacher training. We are pleased to offer support sessions to prepare you for undertaking these. Essential Qualities and Experience We are specifically looking for people who want to become inspirational teachers and who will be relentless in securing academic progress for every child whilst facilitating emotional and social development. Candidates should be able to discuss school visits and/or work experience and will need: •	The ability to develop effective relationships with relevant stakeholders: children, their parents and carers, colleagues and peers. 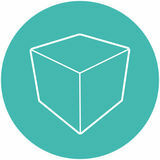 •	Strong organisational and communication skills. •	To be positive and proactive. •	A commitment to securing the best education for all children. •	Determination and energy. •	High standards of literacy, numeracy and personal presentation. Ready to Apply? If youâ&#x20AC;&#x2122;re ready to help us transform studentsâ&#x20AC;&#x2122; lives, we want to hear from you. Visit www.ucas.com/apply/teacher-training and register using our UCAS code: 1TZ UCAS have produced a number of videos to help applicants through the application process, which can be found at www.ucas.com/how-it-all-works/teacher-training Visit our website, www.harristraintoteach.com, for more information and handy tips for your application. Our Selection Process Our training team selects and interviews applicants upon receipt of their application via UCAS. In order to be considered, you should complete a full application and note that your personal statement is an important part of this process. If you are shortlisted, you will be asked to attend a formal selection day. If you are interested in finding out more or would like to book a place at one of our open events, please contact us at info@harrisschooldirect.com or visit us online at the website below. We look forward to hearing from you.